Tunnel of Fudge is a cake that Betty Draper might make, if Mad Men continues (fingers crossed) for a few more seasons. For a second place winner 44 years ago, this cake has legs. First, it popularized (or saved from extinction) the bundt pan, which was only rarely used at the time. (Its legacy is enduring; many remember the small, yet pivotal role the "cake with a hole in it" played in the film, My Big Fat Greek Wedding.) Pillsbury reported that it received 200,000 calls from home bakers looking for bundt pans following the 1966 contest. When Pillsbury discontinued making the packaged frosting mix called for in the original recipe, there was such an uproar that the company went back to the drawing board (read: test kitchen) and developed a completely scratch recipe. That's the one I used, and pasted below. Was it good? Yes, though it seemed more like a brownie than a cake, not that there's anything wrong with that! 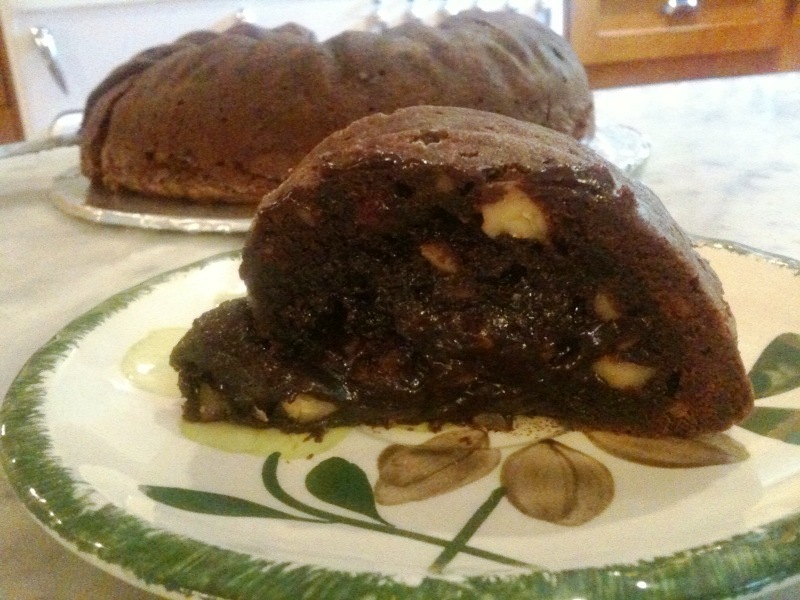 The brownie reference may be due to the two cups of walnuts in the recipe. One is instructed not to skimp on the nuts, as they are considered critical to the formation of the gooey center. Most experts in the chemistry of baking attribute the tunnel creation to the excessive amount of sugar in the recipe. For those who like my wife’s baked goods…. I have with me the most extreme chocolate cake I’ve ever tasted – the unfortunately named ‘tunnel of fudge’ cake – that I’m going to put out at 2:45 in the 5th floor bullpen. Be forewarned – it can put you into a diabetic coma!! And must be cut with a gallon of coffee….I only had one bite and gave up…. 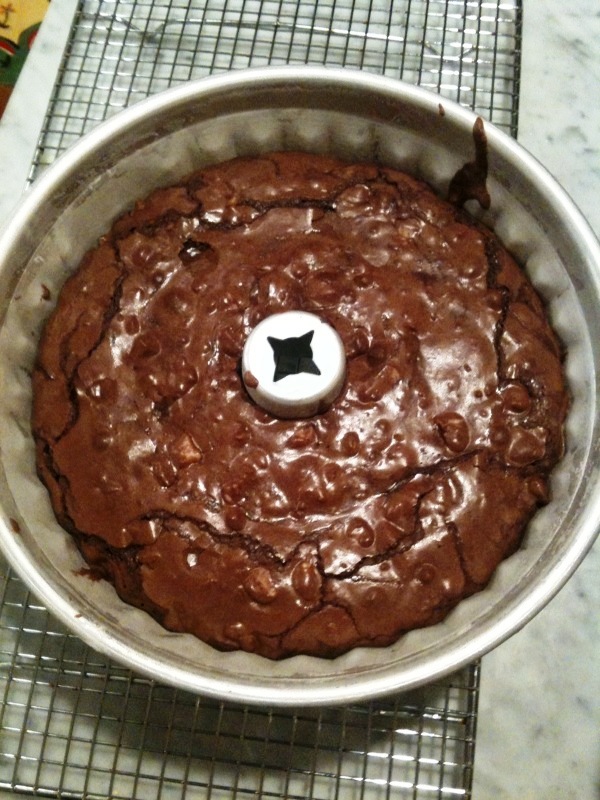 This is why I was at yoga and spinning at 7 a.m. twice this week…..
For those who want a diabetic coma of their own, may I present the Tunnel of Fudge recipe. 1. Heat the oven to 350°F (175°C). Grease a 12-cup Bundt pan or 10-inch angel cake pan. Dust with flour and tap out the excess. 2. In a large bowl, beat the butter and granulated sugar using an electric mixer on medium speed until light and fluffy, for 1 to 2 minutes. Add the eggs, one at a time, beating well after each addition. 3. Gradually add 2 cups confectioners' sugar, beating until well-blended. 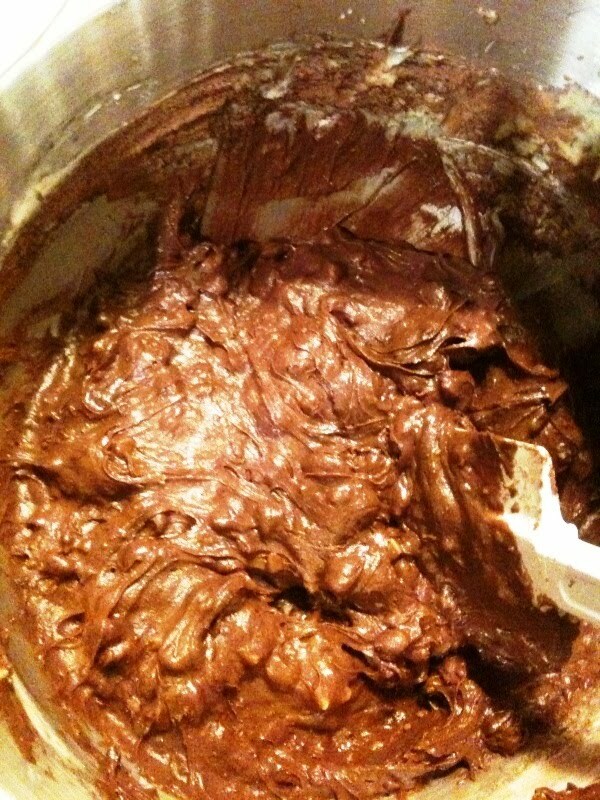 By hand, stir in 21/4 cups flour, 3/4 cup cocoa and the nuts; mix until well-blended. Spoon the batter into the prepared pan and spread evenly. 5. Let the cake cool upright in the pan on a rack for 1 hour, then invert onto a serving plate and let cool completely. 6. To make the glaze: In a small bowl, combine 3/4 cup confectioners' sugar, 1/4 cup cocoa and 1 1/2 tablespoons milk. Mix until well blended, adding the remaining 1/2 tablespoon milk to make a spooning consistency. Sounds like Mrs. Helfrich was robbed. Cheese spread & onion soup mix? April 18, 2016- Been searching for my Mom's recipe for this delectable childhood cake. I have not been able to find her recipe, if she used one, but she made her cakes from scratch...this sure sounds like it! Funny thing is too, that I remember very early 60's, as I was 5 or 6, having my first taste, never forgetting it's delightful, gooey inside of lusciousness...I don't remember having glaze on it...but what the heck...I'm making this today, as my sister happened to be thinking of it recently, so I want to make this truly from scratch recipe...TUNNEL OF FUDGE...Thank you..Can't wait to make it, so I will be able to confirm that this is it...HOPEFULLY!P.S. For 60 years I have thought and wondered how my Mom created this scrumptious TUNNEL OF FUDGE...Magical! Well, I made this cake...adhered to specific instructions...awful! The best part was glaze. To think I wasted all those expensive ingredients...definitely is not my Mom's Recipe. Hope others have better luck...I hate to waste food, cuz too often we don't have, but there was no place but the garbage. At least I tried! So sorry it didn't come out well. I feel your pain -- nothing worse than wasting good ingredients. This happens to me a lot -- just last night when a rhubarb torte cemented itself to the pan. 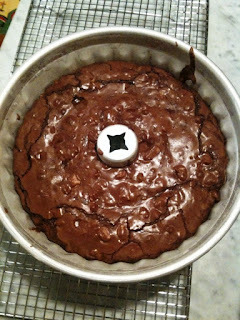 You might try googling other tunnel of fudge cake recipes once you feel up to it.